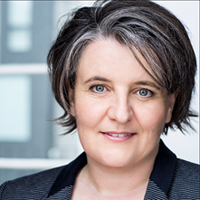 Simone Arnott is a National Professional Standards Advisor at Speech Pathology Australia and an honorary research fellow at the Australian Stuttering Research Centre. Her doctoral research involved a randomized controlled trial of group delivery of the Lidcombe Program. She has worked in several clinical and academic positions as a speech-language pathologist, clinical educator, lecturer, researcher, and specialist trainer in stuttering. Simone regularly provides specialist support services to community and speech-language pathology students who have an interest in stuttering. She has also developed an online Group Lidcombe Program training package for speech-language pathologists, in collaboration with the Australian Stuttering Research Centre. Brenda Carey has been working exclusively in the field of stuttering for the last 15 years. She is a clinical educator in the school of Human Communication Sciences, La Trobe University and collaborates in research with the Australian Stuttering Research Centre. The University of Sydney. Brenda is also a private practitioner, specialising in stuttering treatment and in particular delivering treatments by telepractice in Australia and internationally. She completed her doctoral studies at the Australian Stuttering Research Centre in 2008 and has published her research about telepractice stuttering treatment in scientific journals and textbooks. 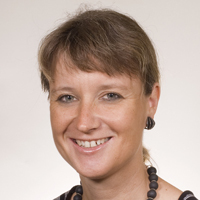 Before joining the Department of Linguistics at Macquarie University in 2003, Elisabeth Harrison worked as a speech pathologist in South Western Sydney. Between 1990 and 2002, she was the Senior Speech Pathologist in the Stuttering Unit, Bankstown Health Service. 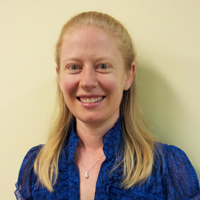 Elisabeth's current research interests are the Lidcombe Program of early stuttering intervention, early language development and the onset of stuttering, and the application of evidence based practice in speech pathology. Her PhD dissertation reported the first attempts to dismantle the Lidcombe Program and to investigate how its treatment components work. This research used experimental methods and case studies, and resulted in empirical evidence being assembled of the effects of parental verbal contingencies for stuttering and parental severity ratings on treatment outcomes. She is an Honorary Research Associate of the Australian Stuttering Research Centre, The University of Sydney. 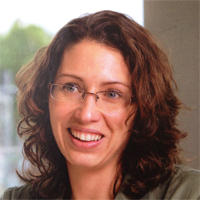 Verity MacMillan has been working as a speech-language pathologist since 1998. She commenced working solely with people who stutter at the Stuttering Unit, South Western Sydney Local Health District at the beginning of 2002. In this role she works clinically with people who stutter, supervises Stuttering Unit clinicians, and offers consultations with advice and support for other speech-language pathologists from around Australia who treat stuttering. Verity regularly presents workshops and seminars about stuttering and management of stuttering. Professor Mark Onslow is the Foundation Director of the Australian Stuttering Research Centre at the Faculty of Health Sciences, The University of Sydney. ? Professor Onslow leads a team that has been awarded multi-million dollar research grants from the National Health and Medical Research Council to develop treatments for stuttering. ? 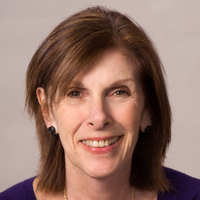 ?Professor Onslow’s research interests are the epidemiology of early stuttering in preschoolers, mental health of those who stutter, measurement of stuttering, and the nature and treatment of stuttering. Recently, work has begun at the Centre to adapt successful stuttering treatments for the Internet. ? ?He has taught university courses in stuttering management in three countries. He is a member of the international Lidcombe Program Trainers Consortium and is in constant demand as a speaker internationally. 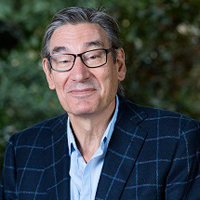 Professor Onslow has authored hundreds of publications dealing with stuttering including journal articles, books and chapters. Stacey Sheedy has worked in the field of stuttering since 1998 and at the Stuttering Unit, South Western Sydney Local Health District since 2001. Aside from her routine clinical caseload of children and adults who stutter, she provides nationwide consultations and second opinions for speech-language pathologists. She also has a private practice specialising in the management of stuttering. She has regularly presented workshops, teleconferences, and seminars in the field of stuttering. 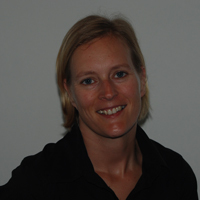 Sabine Van Eerdenbrugh trained as a speech pathologist and teacher in Belgium and The Netherlands. She completed her PhD at the Australian Stuttering Research Centre, The University of Sydney. Her research project covered the development of an Internet version of the Lidcombe Program, and the development of a problem-solving tool for parents who do the Lidcombe Program. Sabine has treated children with communication disorders in several contexts for many years, including private practice and schools. 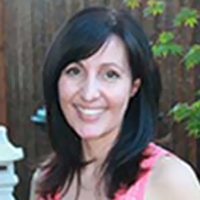 Carla Di Domenicantonio is a registered speech-language pathologist in the province of Ontario, Canada who practiced exclusively in the field of stuttering at a large teaching hospital in Hamilton for 20 years, working with both children and adults. She transitioned to private practice in 2006, opening an office in Burlington in 2009 where stuttering continues to be her primary focus. Carla is a Clinical Faculty member at the School of Communicative Sciences and Disorders, University of Western Ontario (London), where she trains and supervises graduate students in speech-language pathology within the context of a yearly intensive stuttering therapy camp for children, adolescents and adults. She is a Canadian representative for the International Cluttering Association. Carla has given workshops and made presentations on the subject of stuttering and cluttering at various professional conferences and events, and regularly consults with other speech-language pathologists in her community. 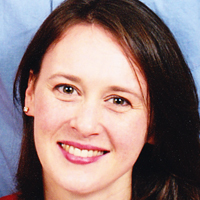 Rosalee Shenker is Founder and Executive Director of the Montreal Fluency Centre. She has specialized in stuttering for over 40 years, choosing during the past 20 years to focus on treatment of children. As Adjunct Professor at McGill University, School of Communication Sciences and Disorders, she taught the graduate course in Stuttering until her retirement from that position a few years ago. 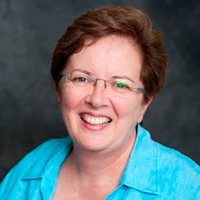 As a founding member of the Lidcombe Program Training Consortium she coordinates clinical training in North America and has provided presentations, workshops and mentoring to over 2,000 clinicians in Canada, the United States, and Europe. Rosalee has published in peer-reviewed journals and contributed chapters on stuttering to various textbooks. Her most recent work involves the treatment of bilingual children who stutter. Thomas is a speech-language pathologist at the Chinese University of Hong Kong. He has worked with children and adults who stutter for more than 10 years. Thomas has provided Lidcombe program to English, Cantonese and Mandarin-speaking children in Australia, Hong Kong and China. Thomas obtained his Speech Pathology qualification at the University of Sydney. He also holds a masters degree in Epidemiology and Biostatistics from the Chinese University of Hong Kong and is currently completing his PhD at the Australian Stuttering Research Center, The University of Sydney. He teaches stuttering at several universities in Hong Kong. His research focuses on the topography and linguistic triggers of stuttering in Cantonese, a syllable-timed tone language. Helle Brandt has been specializing in the treatment of stuttering, as a speech-language pathologist since 2001 and since 2004 has been practicing the Lidcombe Program. In 2009 she finished a Master degree in Special Need Education, with a science project focused on parent education with the Lidcombe Program and its impact on children, who stutter, from The University DPU in Copenhagen. Her most recent position is the employment in 2011 as a Lecturer at VIA University College in Aarhus, educating students to become speech-language therapists. 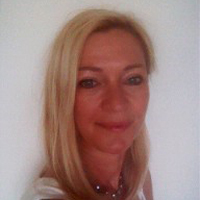 Véronique Aumont Boucand is the Director of a Fluency Disorders Education Program for Specialists at the University of Paris 6. She is also a professor for Speech-Language Pathology Education Program at the Universities of Paris 6 and Besançon. She is Vice-President of the French Stuttering Association: Association Parole Bégaiement. 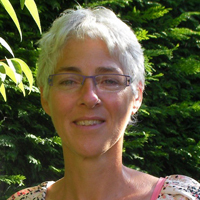 Véronique has conducted many training events on stuttering for the speech-language pathology community in France. She has also written two books, produced two DVDs and many articles on the topic of stuttering. 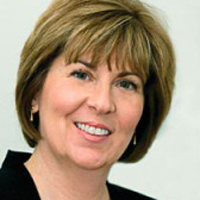 Bettina Freerk has been specialising in the treatment of stuttering since 1988. Initially she worked at the University Clinic in Hamburg. Since 1992, she has been a private practitioner, working solely with children who stutter and more recently also specialising in children with selective mutism. In addition to working as a private practitioner, she actively attends and contributes to special interest groups in Germany, presents at conferences within Germany and contributes to publications in German. 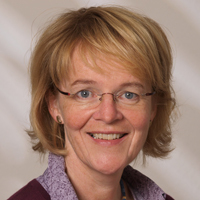 In 2010 she became a Certified Stuttering Therapist by the Interdisziplinaere Vereinigung der Stottertherapeuten (Interdisciplinary Association of Stutteringtherapists). She continues to work with children who stutter in her private practice and contributes to intensive programs for adolescents and adults. Gabrielle has more that 20 years experience with the Lidcombe Programme. She introduced the treatment to Israel, having organised and presented three workshops there. She also teaches Lidcombe Program basics to masters students at Tel Aviv University, and to specialist postgraduate speech and language therapists at at Tel Hashomer Hospital and Kiriat Uno College, Tel Aviv. Gabrielle manages a successful private practice. Private Practitioner, Auckland, New Zealand Lecturer at Auckland, Massey and Canterbury Universities, New Zealand. Anna Hearne is originally from Germany, but she became a speech language therapist in Australia. She returned to her hometown of Munich, Germany to complete a Masters at the Ludwig Maximilian Universitaet. During this time she began introducing the Lidcombe Program to Germany with her colleague Christina Lattermann. She began specialising in the treatment of stuttering when she commenced her PhD studies in 2002 at the Australian Stuttering Research Centre. She investigated the experiences of adolescents who stutter. 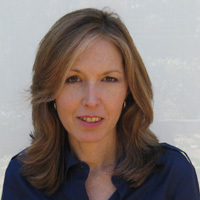 Since then she has filled many roles including research assistant and clinician at the Australian Stuttering Research Centre, clinician at the Stuttering Unit in Bankstown, Sydney, clinical director at the Stuttering Treatment and Research Trust in Auckland as well as clinical educator and lecturer at Maquarie University in Sydney. She currently lectures in stuttering at Auckland University, Massey University and Canterbury University in New Zealand. She is also working in her private practice. In addition to New Zealand, Anna conducts workshops in Germany with her colleagues Bettina Freerk and Christina Lattermann. 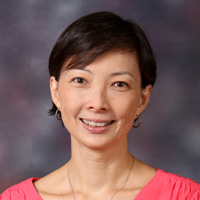 Valerie worked as a senior principal speech-language pathologist at the Singapore General Hospital for 16 years before moving to private practice. She has more than 20 years of experience working in the field of stuttering, and has successfully treated many children who stutter using the Lidcombe Program. She continues to teach stuttering at the National University of Singapore. 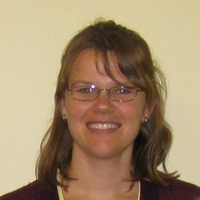 Valerie completed her PhD at the Australian Stuttering Research Centre in 2007. Her research interests include assessment and treatment of bilinguals who stutter, and has ongoing research grants, and publications in scientific journals and textbooks. She continues to supervise students and speech therapists in stuttering both clinically and in research projects. Rosemarie Hayhow is a senior researcher at the Bristol Speech and Language Therapy Research Unit in the south west of England. 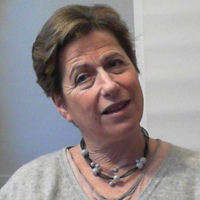 She has worked for 40 years in the area of stuttering with children and adults as a clinician, teacher and researcher. 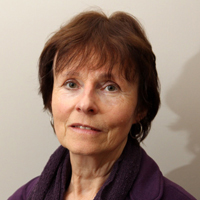 She is an advisor to the Royal College of Speech and Language Therapists and to the British Stammering Association. Rosemarie trained in the Lidcombe Program in Australia in the late 1990s and during the following 12 years used it with many children and their parents in National Health Service clinics. Her PhD explored parents’ experiences of the treatment. Corinne has been working as a speech-language pathologist since 1988 and chose to specialise in stuttering early on in her career. She has worked with children and adults who stutter in a range of settings in London. Corinne is currently the clinical lead for the Children’s Community Speech and Language Therapy Service in Tower Hamlets, East London. She works as a clinical tutor for the undergraduate training course at City University and as a speech-language pathologist with adults who stutter at City Lit, which is a national specialist centre for stuttering. She received Lidcombe Program training in 2000 and has gained considerable experience in using it with bilingual children and parents. 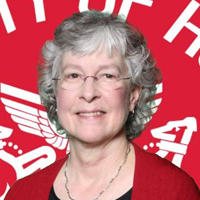 Melissa Bruce retired in the spring of 2018 as Clinic Director of the University of Houston Speech, Language, and Hearing Clinic, the training facility of the University of Houston Department of Communication Sciences and Disorders. Her affiliation with the ComD Department has continued as an employed retiree providing consulting services to the Department. She is a Fellow of the American Speech- Language-Hearing Association, and Board Certified Specialist and Mentor in Fluency Disorders. She holds a Master of Science degree from Purdue University and completed post-masters study in stuttering at Southern Illinois University. Prior to joining the University of Houston, she served as Clinic Director at the University of Vermont. Her administrative experience includes serving as Project Director for training and service delivery grants in early childhood intervention. 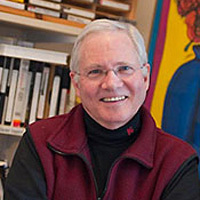 Barry Guitar is Professor of Communication Sciences and Disorders at the University of Vermont. His specialty is research, teaching, and clinical work on stuttering. He is a fellow of the American Speech-Language-Hearing Association and a recipient of the Malcolm Fraser Award from the Special Interest Division on Fluency. His research has been supported by National Institutes of Health, including a 5-year Teacher-Investigator Award. In addition to numerous scientific papers about stuttering, he has published three textbooks about stuttering. His current research involves treatment of stuttering with preschool children, and specifically aims to determine how to predict treatment outcome and how to improve treatment.